As a wonderful extension to my blog site I will now be adding recipes and photographs from the Ooh!Box to my repertoire! The Ooh! 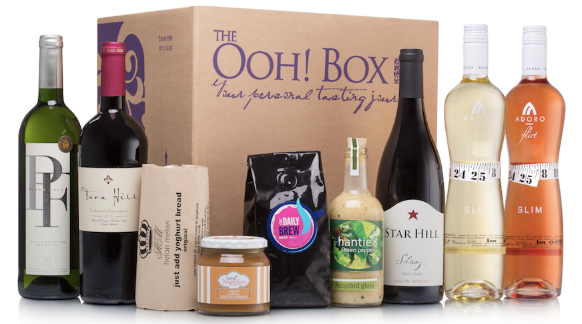 Box is a wine and food experience which you can subscribe to. Every month a box of delights is delivered to your door consisting of approximately 4 alcohol beverages and 4 foodie items – a selection of carefully sourced treats. Off-the-beaten-track food suppliers and wine farms from around the country are selected to contibute to the box. Wine and food one would normally never taste or see – what a pleasure! There is something for every member of the family. I will be working with Jaco Schoeman and his team, helping them create and develop recipes which are included in your box each month. This will help you to pair your wine and food items and make it even more of a treat! I will also be capturing these delicious recipes with my camera. To find out more about the Ooh! Box click on the link in my side bar! As usual, where possible I will be giving a gluten-free option to the recipes posted. I really wish there were more artielcs like this on the web.